Our Campaigns - Candidate - Thomas H. Kean, Jr.
Name Thomas H. Kean, Jr.
Info Senator Thomas H. Kean, Jr. is serving his first full term in the New Jersey State Senate representing District 21, which includes 16 towns in Essex, Morris, Somerset and Union counties. Senator Kean serves on the Senate Budget and Appropriations Committee and the Senate Health, Human Services and Senior Citizens Committee. He was elected Senate Republican Whip for the 2004-2005 Legislative Session. Prior to being named to the upper house of the State Legislature, Senator Kean was serving his second term in the State Assembly. In 2004, Senator Kean was named ‘Legislator of the Year’ by the Fireman’s Benevolent Association. The New Jersey Sierra Club recognized Kean with their ‘Outstanding Achievement Award’ for his action to preserve the Highlands and fight the ‘Fast Track’ bill. Kean served as an Alternate Delegate to the 2004 Republican National Convention. He was unanimously selected by Republican Committee members in January 2003 to fill a vacancy in the Senate left by the resignation of Richard H. Bagger and elected in November 2003 for a four-year term. In 2002, Mr. Kean was one of only 40 state leaders from the entire nation to be recognized as a Toll Fellow by the Council of State Governments for high achievement and service to state government. He also serves on the New Jersey Network (NJN) Community Advisory Board, was a member the New Jersey State Museum Board and the 225th Anniversary of the American Revolution Celebration Commission. Senator Kean is also an Honorary Trustee of the Paper Mill Playhouse in Millburn, the State Theatre of New Jersey. Senator Kean graduated from Dartmouth College in 1990. In addition to consulting, he is currently completing his doctoral dissertation in international relations at Tufts University’s Fletcher School of Law and Diplomacy, where he was employed as a Graduate School instructor. 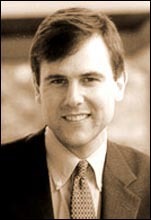 The son of New Jersey’s 48th Governor, Thomas H. Kean, Sr., the Senator was born on September 5, 1968 in Livingston. A member of the local volunteer rescue squad, Senator Kean lives in Westfield with his wife, Rhonda, and their two daughters. 06/02/2020 NJ District 07 - R Primary ?? ?